Bai Mao Hou offers exceptional quality and taste on a very affordable price tag. 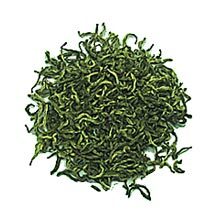 This is a rare Green tea that comes from Fujian province where most harvested tea leaves are processed into Oolong teas. The tea leaves are beautifully curled and fully covered with white down. The taste is smooth and rich with sweetness similar to that of a sugar cane.